In a rare moment of talking plainly, EU-Commission president José Manuel Barroso described the European Union as an Empire in the making. That alone ought to make all sorts of alarm bells go off. Megalomaniacs tend to cause trouble on their journey to downfall. In this case, we are looking at the un-elected top dog of a political union with 500 million citizens – leading a bureaucracy with obvious ambitions to centralize power. And Mr Barroso sees no problems with EU power grabbing. In another speech, he made it clear that there are no democratic problems in transferring powers from member states to Brussels – as long as this is made in a formal way, according to existing rules. Well... yes, it is true that democracy has the regrettable mandate and ability to dismantle itself. But is it really advisable? It ought to be obvious to everyone that centralizing power will have undesirable effects, when it comes to citizens actually being involved in the democratic process. Having seen the EU machinery from inside, I can assure you that such a centralization of power brings no added value what so ever. On the contrary. The EU is not very competent. Rules and laws are rushed trough at a break neck speed that makes wise, balanced and dignified lawmaking impossible. (Even for the few who might know what is in the making.) And EU politicians normally holds special interests higher than public interest. The EU is a very opaque organization. EU leaders often talk about openness and transparency. But reality is something totally different. If there is the slightest possibility that something is not in the interest of the EU, its leaders or its functionaries – they go stonewalling. At one point EU even changed the definition of what constitutes a "document", to be able to sidestep its own assurances about public access. 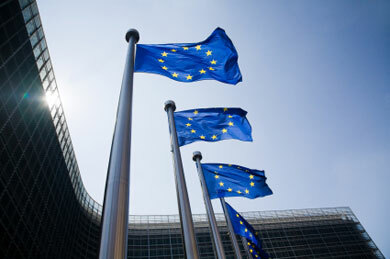 In most member states at least two out of three laws and regulations originates from the EU. This means that most laws are decided upon far away from people being affected by them. So, it might come as no surprise that many EU directives and regulations lacks contact with reality and often make assumptions that are not in line with simple facts. Not to mention ignoring local differences. One size is supposed to fit all, but fits no one. Even good people are gradually being corrupted by the EU system, if getting involved in it. They soon realize that the only way is to adopt. If you don´t, you are out. But the pay is very nice. On top of everything else, the EU is not a democratic organization as such. And the people do not want it. A single, open market with free movement would do fine instead.